Being as this is September 11th, I thought it would be a good day to post this little post. I have been so freaking busy these last few weeks, I haven’t had a chance to post much here, and this project has been waiting long enough to get out there. 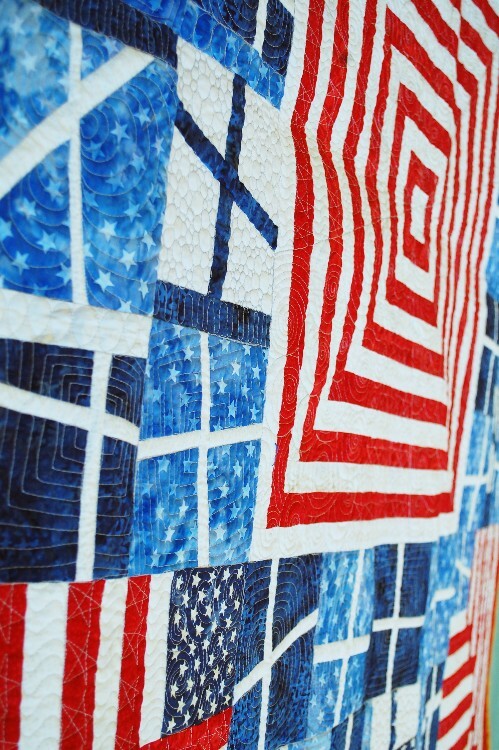 This past spring at Quilt Market in Portland, I happened to come up to a conversation being held between some dear friends of mine and Elizabeth Phillips of Island Batik concerning the Quilted in Honor project. 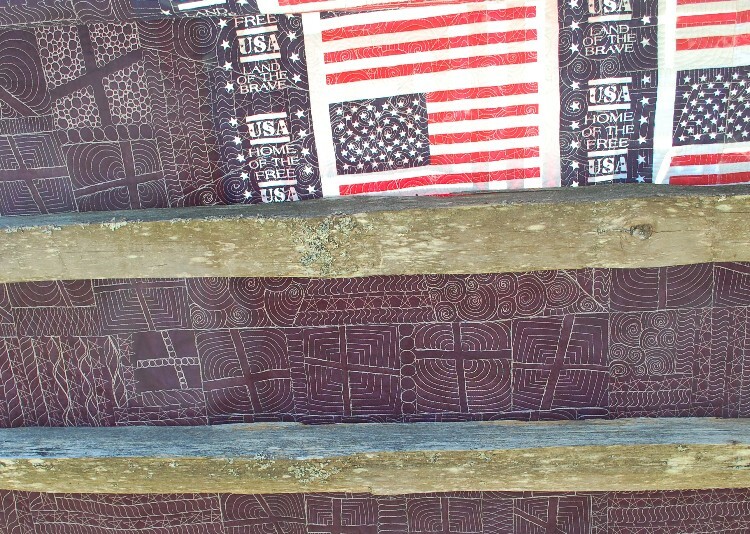 Quilted in Honor is a great program starting up by Island Batik. 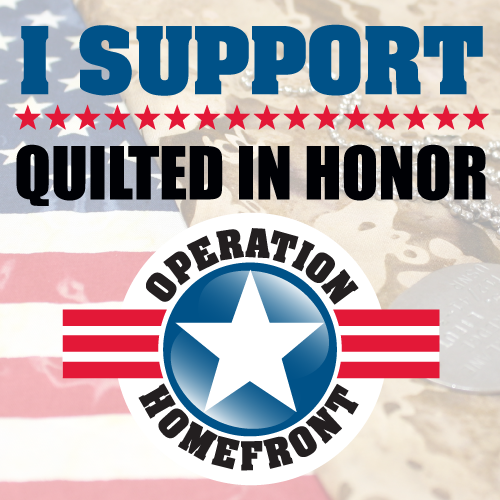 The program helps Operation Homefront and is described in more detail here. I will be the first to say that I am not a big fan of Batiks in general. I know, shock and horror, right? I mean, SOOOO many people LOVE them…my wife included. But they have never really done much for me. But this project touched me deeply. I haven’t served in the US armed forces, but I know many who have, and I thankful for all that have and will continue to serve our country in that capacity. 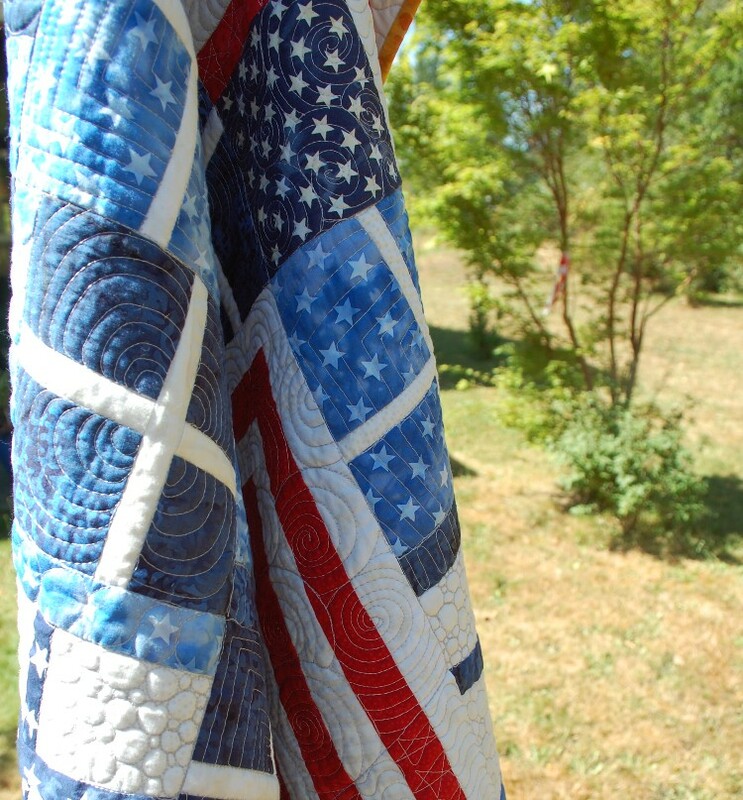 And, although, I really didn’t have time for it, and it wasn’t on my list to do this year, I felt very compelled to join this group of quilters doing their part to support our troops. 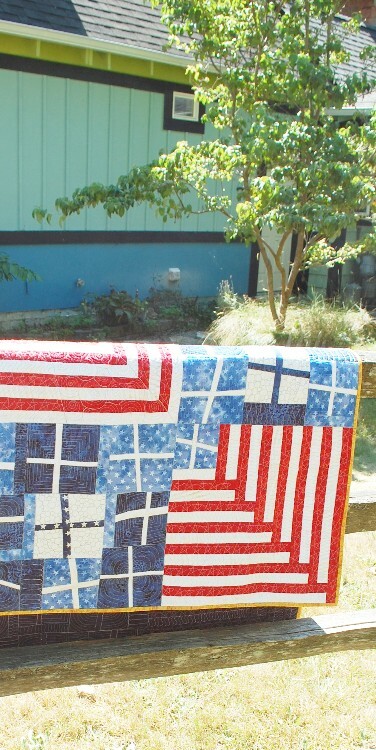 So I did….and here is New Glory, my quilt that will be traveling the country with the rest of the fine quilts in the group. 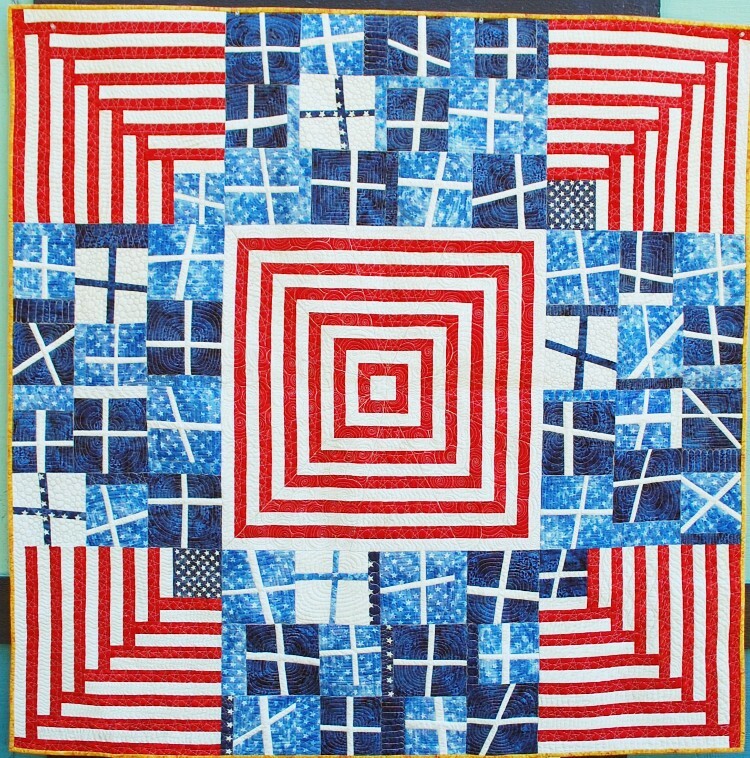 Here is a glimpse of the quilting from the back. Molly Hanson, (not related obviously from the “o” in her last name) quilted it, and I think she did a great job! I met Molly at Spring Market also while visiting with Angela, and Molly came highly recommended by Angela, so I thought I would give her a go. I was very pleased with her work. Here’s a little video from Island Batik featuring Eleanor Burns talking about the project too. I will share more information as time goes on regarding this little gem of a project. Ah man! 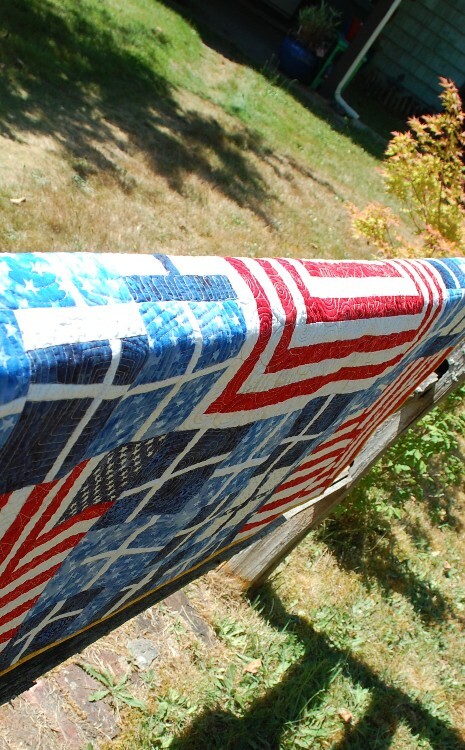 I did not need another “must make this” on my “Quilts I Want to Make” list. The list keeps growing and the toddler just gets more demanding. Fabulous design. LOVE IT! 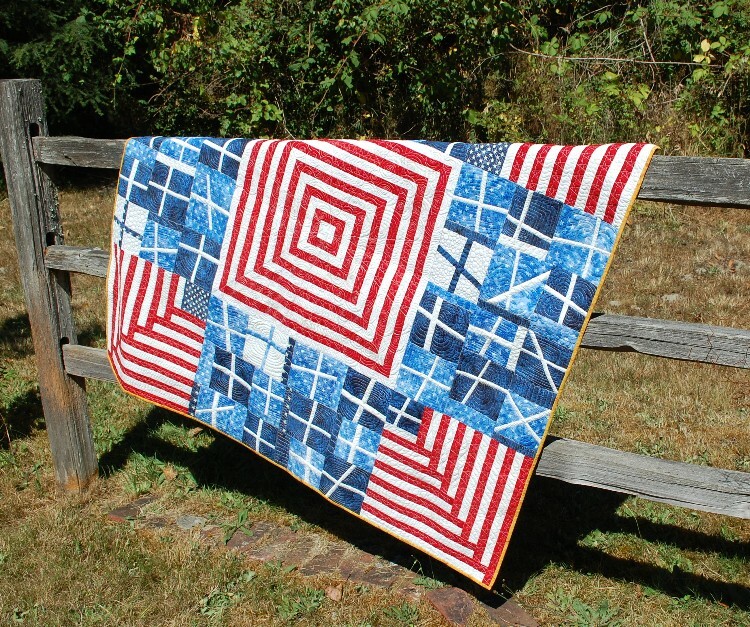 Both you and Molly did a wonderful job on this quilt. What a strong bold design you have going on there Scott. Well done indeed. I might mention I also feel the same way about batiks, although I’ve been playing with a design that would actually be quite good done up in them so may have to give batiks a try. I love it. You did a wonderful job! I saw your quilt in Des Moines earlier this month and it looks even better in person! It was a surprise to walk around a corner and see it. Love it!